Ahead of this afternoons match at home to Truro City, we spoke to @TCFC_Updates to find out their view on the game, take a read of what they have to say! What have you made of the start to the season for Truro so far? I think we had a poor start to the season, which wasn’t helped by Lee Hodges and Chris Todd departing after 2 games. Results and Performances have started to pick up under the new manager, Leigh Robinson, and his assistant, Micheal Meaker, but there is still work to be done to get out of the relagation zone. Plenty of off the field news has been going on recently, is it exciting times for Truro? Lots of news has been flying around off the field, some good, some bad. I wouldn’t say exciting times for Truro, just the same old, same old. We will have to wait until the 10th to see if that will change. Going into tomorrow’s game, how do you feel it’ll go? I feel if we could give Hereford a run for their money, we can give Concord a good game. I feel it will be an action packed game, lots of goals. 2-2 Draw. 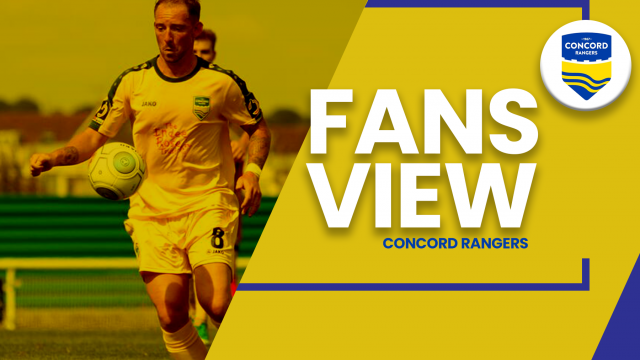 What’s been your thoughts on Concord Rangers so far this season? Whether that be on or off the field. I haven’t really kept an eye on Concord this season. I know you brought in Sammy Moore and Jack Midson before the start of the season, and 5 games in, you were 2nd I believe. I fell like you started well and have tailed off a bit, and that 5-0 defeat can’t have gone down well. Who’s the star man to look out for tomorrow? Star Man in my opinion is Joe Wollacott, our goalie. On loan from Bristol City, he is a class goalkeeper and has saved us many times this season. If your talking about an outfield plauer, I would go with Jon-Paul Pittman or Jared Lewington. Both had good starts to the season and both scored in the FA Cup Replay vs Hereford on Wednesday. Thanks to TCFC Updates for taking the time to answer the questions, best of luck in the return fixture.